Brown joined msnbc in July 2007. 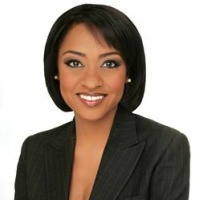 Prior to working at msnbc, Brown spent five years as an anchor and reporter at KTNV, in Las Vegas, Nevada, but Brown’s journalism career began in the military. Brown joined the United States Air Force and spent two years as a military broadcaster, reporting for American Forces Network, from Kadena Air Base in Okinawa, Japan. She later returned to the United States and moved to Kelly Air Force Base, in San Antonio, Texas, to join Air Force Television News as an anchor and reporter. Following her time at Air Force Television News, Brown moved to El Paso, Texas, to join KTSM, the NBC affiliate, where she spent two years as an anchor and reporter. During Brown’s career at KTSM, she reported on military and justice affairs, as well anchoring daily newscasts. Brown has received numerous awards including an Emmy, a Texas Associated Press first place award for spot news coverage and the Air Force Commendation Medal from the United States Air Force. Brown is a graduate of University of Phoenix with a Bachelor of Science in business administration. Brown is a member of the National Academy of Television Arts & Sciences: Pacific Southwest Chapter and National Association of Black Journalists. She has served as chapter president and vice president of broadcast, for the Las Vegas Association of Black Journalists.